SAP Screen Personas 3.0 provides customizable SAP GUI screens for users according to their roles where the users can use on most common web browsers. SAP Personas 3.0 is the newer version after Personas 2.0 and enables ABAP developers a wider range of control over HTML controls, more flexible scripting and independency of using SilverLight requirement in previous versions. This SAP Personas Screen 3.0 tutorial shows ABAP developers how to activate related web services. Because before SAP users can browse SAP Screen Personas screen on their web browsers, Personas developers should activate related services using SICF transaction. 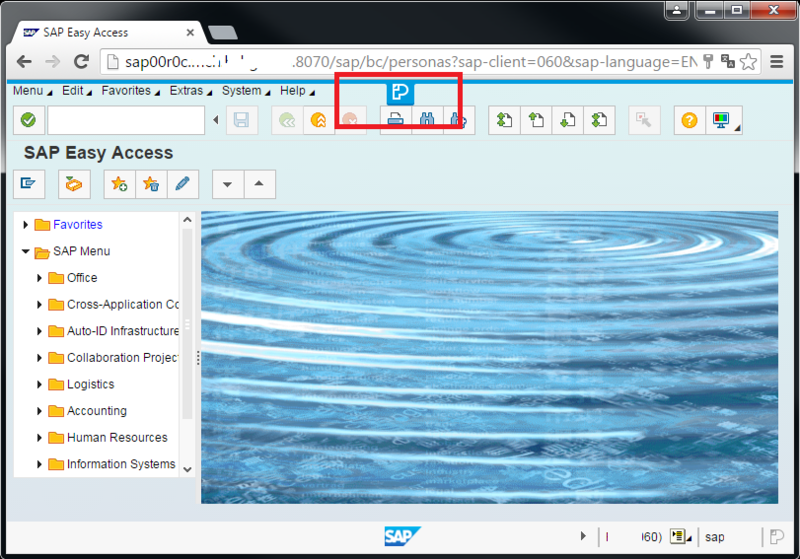 First, call SICF Maintain Services transaction to display and activate SAP Screen Personas 3.0 services. personas, SAP Screen Personas 3.0 Preconfigured SAP GUI for HTML with SAP Screen Personas 3.0 enabled. Right click on the "personas" service and activate it by choosing "Activate Service" context menu option. Using the same method, activate the "personas3" service too. After these two services are activated, we can test it by using the "Test Service" context menu option which is displayed by right-click on the Personas service. Of course since no Personas 3.0 flavor is created yet, you can only browse default flavours created by SAP that can be clonned and then altered as new SAP Personas 3.0 flavors by developers. On below screenshot from SMEN transaction on SAP GUI for HTML, developers can notice the "P" icons which enables to reach SAP Screen Personas 3.0 menues for creating, managing and editing Personas flavors.